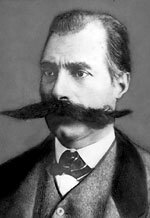 A moutash, matash, or mouser is facial hair growed on the upper lip. Moutashes can be gruimed bi trimmin an stylin wi a teep o pomade cried moutash waux. This page wis last eeditit on 24 August 2017, at 21:50.